Since running out of my holy grail Liz Earle moisturiser, I had to dash to Boots to buy something to temporarily use until I get a new Liz Earle one. However, it's going to be a moisturiser that I stick to using and always fall back on (even though Liz Earle's skin repair moisturiser is my favourite! review here) as it's a lot cheaper, possibly just as good and comes in a handy squeezy tube. I prefer tubes to pots/tubs as I feel it's more hygienic and just generally easier! They have different tubes for different skin types too. I picked up the dry/sensitive (pink) tube as that's generally my skin type. I don't really have dry skin but it often feels tight if I'm in need of moisturising, usually after exfoliating. Honestly, I wasn't expecting great things as it is so cheap and I literally only picked it up as a temporary replacement but it's one of the best things I have ever randomly bought. I actually went in Boots to pick up Simple's moisturiser, which wasn't in stock.. so this was the next best thing! I haven't broken out for about a month and I've probably been using this for about three/four weeks now! Obviously it's really moisturising too and doesn't smell overpowering which I find Nivea products sometimes have. I think I'm going to try out the night cream too! 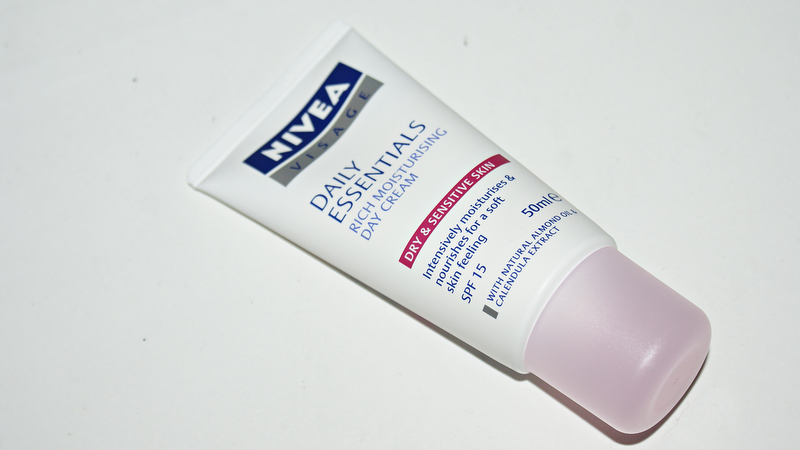 I also use this cream, it's perfect for me and my horrible dry skin and is soo moisturising too! Apart from the Liz Earle superskin moisturiser this has to be one of my favourites! I love Nivea. It's something I always fall back on, it's really nice to combine Nivea products with high end products! I have been looking for some portable day cream for a while so I will definitely try this out!